THE DISAGREEMENT over veterans’ licence plates is much ado about nothing. The special plates are a way of recognizing the service of current and past members of the Canadian Armed Forces. They’re a distinctive plate depicting the National War Memorial in Ottawa along with a red poppy. The Royal Canadian Legion Dominion Command and the RCMP Veterans’ Association want the provincial government and ICBC to make the plates available to RCMP members as well. There’s no easy comparison to go by. Some provinces provide the plates only to those who have been in the military while others let regular RCMP members get them whether or not they have UN or NATO service. There isn’t even agreement across the country on the definition of a veteran. Veterans Affairs regards a veteran as any former member of the Canadian Armed Forces. The Legion includes RCMP members in its definition. The B.C. 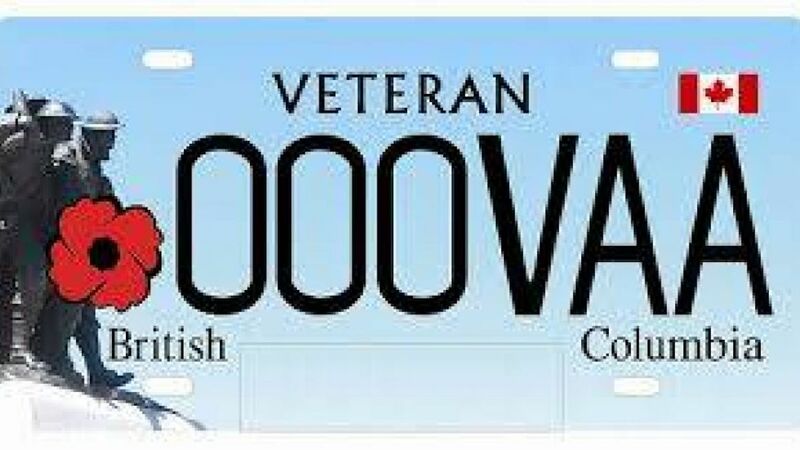 Veterans Commemorative Association, which administers the veterans’ licence plate program for the provincial government, doesn’t want the plates to be made available to the RCMP. Again, it would appear to be how you define veteran and what you believe the purpose of the special plates to be. A case can easily be made that RCMP deserve acknowledgement because they protect us day to day. But military veterans deserve special recognition and should continue to have a distinctive plate. The current B.C. veterans’ plate is beautifully designed — if RCMP were included in the same designation the plate would have to be changed. So why not just design a different plate for RCMP? The question arises, of course, what about members of other police forces? Shouldn’t they be recognized in the same way? Why not? Just make a plate that works for members of any of our police forces. No need to get all politically charged up over it. The provincial government, by the way, is conducting a five-minute public surveyon the matter through to Sept. 4. What do you think?